Iceland's First Lady of Jazz, Miss ANNA MJÖLL, a "Vibrato favorite" returns to Herb Alpert's hip & classy club in Bel Air, California, August 18th, 2012 for a "one night only" show. This event is a near-guaranteed sellout, timely reservations are strongly recommended. Miss Mjöll, accompanied by the amazing Pat Senatore Trio, will be singing songs made famous by the likes of Ella Fitzgerald, Astrud Gilberto, Edith Piaf, Billie Holiday, Marilyn Monroe and more... Call 310-474-9400 for reservations. Diana Krall's forthcoming album on Verve "Glad Rag Doll," scheduled for release next October, is already available for pre-order. Brazil's greatest flute player ever. 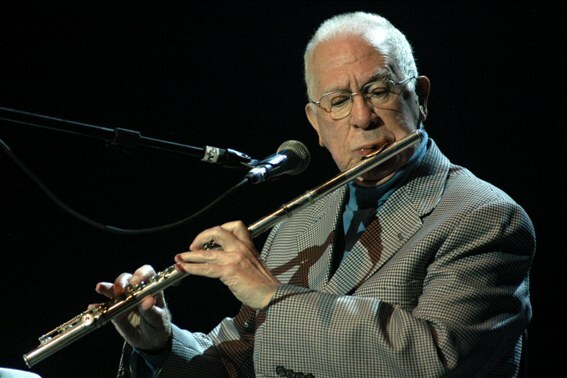 And one of the four best flutists in the history of music, alongside Hubert Laws, Jean-Pierre Rampal and Don Burrows. Besides hundreds of compositions and dozens of albums, he contributed as a producer and musician to such legendary sessions as "A Turma da Gafieira" (featuring Sivuca, Edson Machado, Raul de Souza and Baden Powell, amongst others), "Nova Geração em Ritmo de Samba" (feat. Eumir Deodato, Claudette Soares, Paulo Silvino) and also recorded a not yet released CD/DVD with Raul de Souza in 2011. Rest in Peace. The world lost the top Austrian jazzman ever, a great musician I began to admire through his 20-year plus association with another dear late friend, Art Farmer. Besides the many albums listed below, Fritz Pauer also recorded on Farmer's "From Vienna with Art" and appeared on Kristin Korb's "Live in Vienna" DVD. To Art Farmer's "Crawl Space" album, he composed-arranged "Siddhartha" and also scored "Petite Belle." To Farmer/Yusef Lateef collaboration on "Something You Got," he composed "Saudhade" (sic). Among his sessions as a leader, the most famous one remains "Blues Inside Out" (MPS, 1979). Born in Vienna on 14th of October 1943 in Vienna. Started to take private piano lessons when he was 5 years old. Studied violin, guitar and clarinet, but decided to be a professional jazz pianist at the age of 16. Playing in Fatty Georges All Star Band from 1960 to 1962 gave him the possibility to be able to play different styles. 1963-64 recordings and concerts with Hans Koller, Miriam & Oscar Klein. 1964-68 he moved to Berlin/Germany and played at Dug’s Night Club & Jazzgalery as a accompanist for Herb Geller, Johnny Griffin, Don Byas, Booker Erwin, Dexter Gordon, Art Farmer, Leo Wright, Carmell Jones, Pony Poindexter & the Berlin Allstars. 1968-1982 Pianoteacher at the Jazzdepartment, Vienna Conservatory. Arranger & Composer, Member of the ORF-RadioBand (Vienna ) & the Erich Kleinschuster Sextet. Projects & Recordins with Friedrich Gulda. 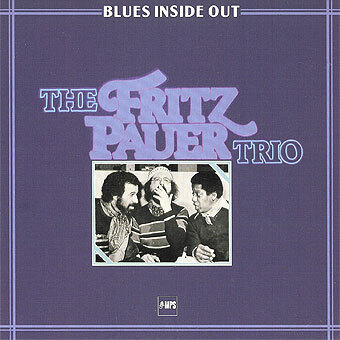 Fritz Pauer Trio since 1970. Art Farmer Quartet, Quintet & Duo from 1970 until 2000. 1982-1984 Leader & Piano teacher at the Swiss Jazz School in Bern/Switzerland. 2004/2005 Nomination for the Hans Koller Price. Anna Mjoll returns to Vitello's, tonight! Anna Mjöll Live @ Vitello's, TONIGHT!! Friday, Aug 10, 8pm, only a few seats left! CD/DVD Set of the Month - "Return To Forever: The Mothership Returns"
DVD of the Month - "Down The Rhodes / The Fender Rhodes Story"
Featuring: Herbie Hancock, Chick Corea, Bob James, David Paich, Eumir Deodato, George Duke, Dave Grusin, Greg Phillinganes, Les McCann, Ramsey Lewis, Larry Dunn, Ronnie Foster, Quincy Jones, Donald Fagen, Rodney Franklin, Jeff Lorber, Ray Manzarek, Jerry Peters, Patrice Rushen, Joe Sample et al. CD Reissue of the Month - "Allan Holdsworth: None Too Soon"
CD Compilation of the Month - "Amapondo: Raw and Undiluted"
Vocal CD of the Month - "Cristina Morrison: I Love"
The result is an exotically honest sound that strikes pure chords which then lackadaisically mellow out. Akin to the high and low energies of a stroll along a beach in Galapagos or to the dawn or dusk sounds of nature. Never has a jazz artist been able to draw inspiration from the raw nature of Galapagos and inject it with such ease and gusto into her ballads. Cristina's first love was the piano and then she soon grew up to discover performing arts were her passion. Her acting debut onstage was at the age of sixteen and started singing in cover bands, as well. Cristina, for many years, lived between Miami and Quito and after finishing high school moved with her mother to Rome where she attended drama school at "La Scaletta". Here she learned fluent Italian and had her first encounter with playwrights like Tennessee Williams, Arthur Miller, Anton Chekhov and fell in love with the theatre. Meanwhile, she also started listening to jazz: to musicians like Chick Corea, Keith Jarrett and standard tunes, that her father listened to from the American Song Book. The press has defined Morrison as an analytical, charismatic, creative, and a free spirited woman and as a chameleonic and versatile actress who works her characters at depth being able to reach her audience. Instrumental CD of the Month - "Chris Brubeck's Triple Play: Live at Arthur Zankel Music Center"
Over the past decade, Chris Brubeck (on bass, trombone, and piano), guitarist Joel Brown, and multi-instrumentalist Peter Madcat Ruth have honed a vast and vivid repertoire encompassing Delta blues, Tin Pan Alley standards, New Orleans grooves, jazz gems, and incisive originals. With all three contributing vocals, Triple Play delivers an epic sojourn through American music unlike any other band on the scene. Their new CD, "Live at Arthur Zankel Music Center," features two Triple Play patriarchs as special guests: piano legend Dave Brubeck and gifted jazz player Frank Brown on clarinet. Recorded in June 2011 at Skidmore College in Saratoga Springs, NY, the disc is coming out on Blue Forest Records. Triple Play grew out of Crofut & Brubeck, an ensemble formed with the innovative banjo player Bill Crofut and Joel Brown on guitar. They produced a series of critically acclaimed CDs for Albany (Unsquare Dance); Telarc (Across Your Dreams, featuring Frederica von Stade); and Koch (Bach to Brubeck, a collaboration with the London Symphony Orchestra that included Chris's symphonic arrangements and compositions). 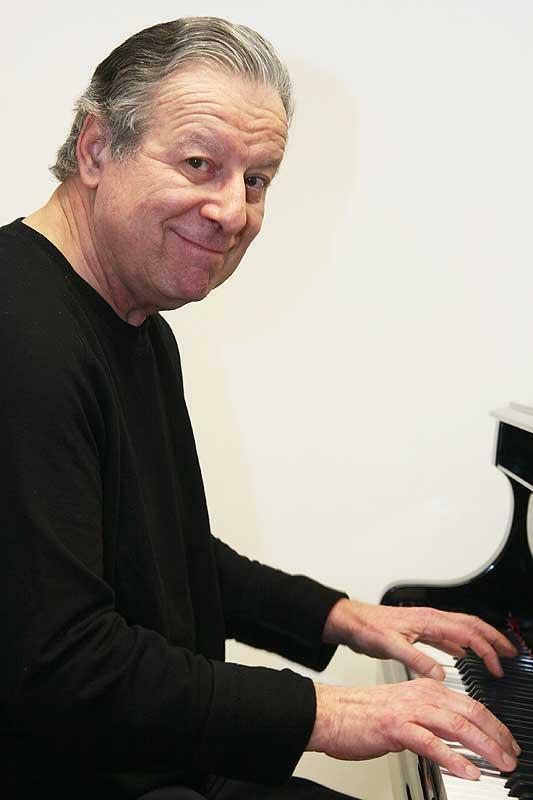 Following Crofut's 1999 death, Madcat Ruth (whose relationship with Brubeck dates back to their teenage years in the late 1960s) joined Brubeck and Brown to form Triple Play. The group's first Blue Forest CD, 2000's Triple Play Live, documents their roof-raising energy while the second, Watching the World, captures the trio's freewheeling humor, dazzling musicianship, and unpretentious spirit. After seeing the group at the Monterey Jazz Festival, Seattle Times critic Paul de Barros noted, "Triple Play is what jazz always was and always should be about: good-time rhythm, unbridled joy and the sweet release but bittersweet aftertaste of the blues." The concerto's success led to a steady stream of classical commissions, such as "Interplay for 3 Violins and Orchestra," his Boston Pops commission for Nadja Salerno-Sonnenberg, Eileen Ivers, and Regina Carter, which earned him an ASCAP Deems Taylor Award for best composition for television broadcast; and Chris's second trombone work, "The Prague Concerto," recorded by the Czech National Symphony Orchestra and released on the Koch CD, Convergence. In recent years he's probably spent more time working in orchestral settings than jazz clubs. In a major collaboration with Dave Brubeck, they wrote the score for "Ansel Adams: America," a multimedia composition featuring 100 Adams photos projected above the orchestra. Other recent commissions include "Quiet Heroes: A Symphonic Salute to the Flagraisers at Iwo Jima," narrated by Wilford Brimley; and "Travels in Time For Three" for orchestra and the ensemble Time For Three (two violinists and a double bassist), who will perform "Travels" at Carnegie Hall 3/8 with the Boston Pops. A new Brubeck Brothers CD will be out soon, and the next Triple Play disc, recorded live in Singapore with the Singapore Chinese Orchestra, is set for late 2012 release. "I think there's no way to end the confusion or to define what I do," Brubeck says. "I just feel really grateful I have different areas to play in and work in and compose in. The Brubeck Brothers Quartet, Triple Play, and my composing career all complement each other. Triple Play brings me back to my blues,jazz, and rock roots." A recent Los Angeles concert prompted L.A. Times reviewer Mark Swed to observe that the trio "stole the show with its flair and virtuosity" and its "rollicking good fun." "We have a blast," Brubeck admits, "and audiences love the joy we share playing together." That is plain to hear in the exhilarating performances -- and delighted audience response -- heard on the Zankel Music Center CD.